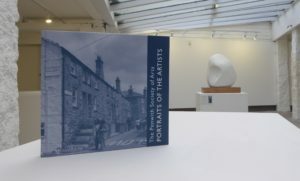 The Penwith Society of Arts: Portraits of the Artists opens with a brief history of the Society, which was founded in 1949 by luminaries such as Barbara Hepworth, Ben Nicholson, and Peter Lanyon, and which moved to its present iconic gallery in Back Road West in the early 1960s. With a forward by Alison Bevan, formerly Director of Penlee House Gallery and Museum and now Director of the Royal West of England Academy, the book is the result of visits to the individual painters, ceramicists and sculptors in their working environments by photographer Michael Carter. His musings and photographic portraits reveal their singular personalities and working practices. 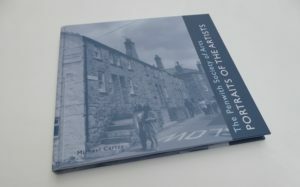 The book is generously illustrated: the portraits of the artists are combined with images of their work and archive photographs of the Penwith Gallery. This hardback publication will be launched on Friday 2nd February, from 6.30-8.30 p.m., and can be purchased from the Gallery and selected outlets at £25.